Around the world, governments, businesses, and global citizens are already working to tackle the obscene amount of unnecessary plastic waste we throw out in our day-to-day lives. 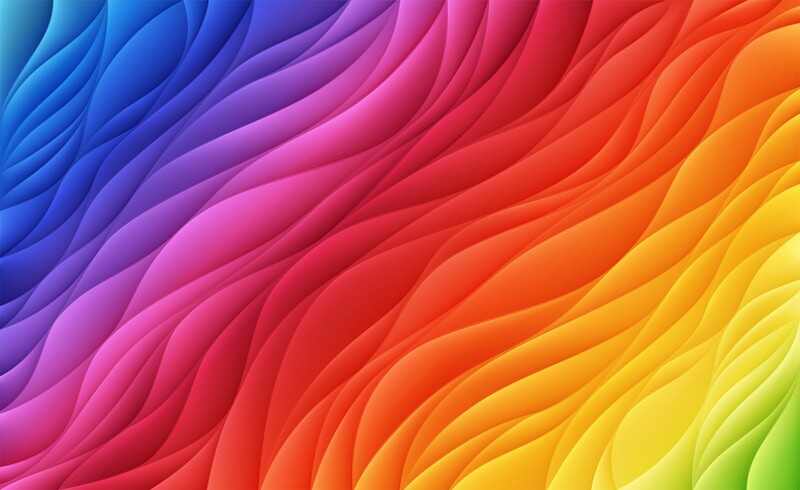 The UK is very much on board, with a 25-year plan announced in January 2018 which aims to “set the global gold standard” on eliminating plastic, according to environment minister Michael Gove. It might feel like a lot of the onus for cutting down on plastic waste currently lies with members of the public; with incentives to stop buying available single-use plastics, rather than industries being encouraged to stop producing them. But, the 25-year plan has addressed that apparent imbalance. One of the steps announced earlier in the year is to encourage industries to take greater responsibilities for the environmental impacts of their products, and for making them easier to recycle. 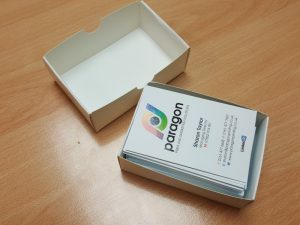 Paragon has responded to this and introduced a ‘green’ element to the production of business cards by NOT using plastic boxes for business cards storage. 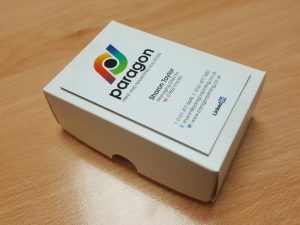 We are now using business card holders which are made of two-part business card boxes in a smooth rigid cardboard with a semi-gloss white finish. This is a sustainable and recyclable solution, with minimum carbon impact and none of the wastage concerns of plastic business card boxes.